ISIS says terrorist who murdered three in Strasbourg was its "soldier". 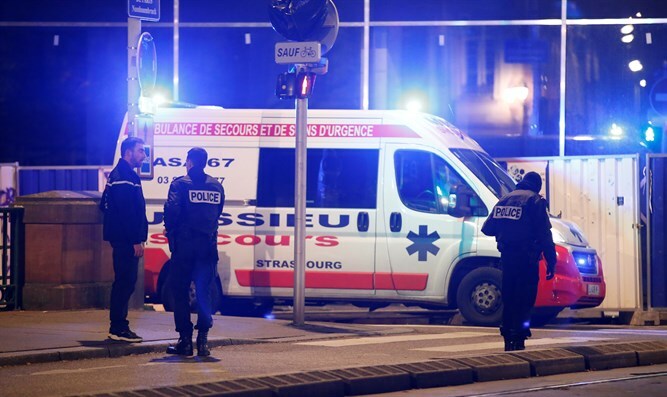 The Islamic State (ISIS) jihadist organization on Thursday claimed responsibility for this week’s shooting attack at a Christmas market shooting in Strasbourg, France, in which three people were murdered and 11 wounded. According to the SITE Intelligence Group, ISIS said through its Amaq propaganda news agency that the terrorist, Cherif Chekatt was an ISIS "soldier" who "carried out the operation in response to call to target citizens of the international coalition." ISIS’ claim of responsibility came just after French authorities shot and killed Chekatt after a manhunt. According to local media, he was hiding in a warehouse in the Meinau District of Stasbourg when police found him. France has been under a heightened alert in recent years and has suffered numerous terrorist attacks, including several over the past few months which have been claimed by ISIS. In May, a knifeman shouting "Allahu Akbar" killed one person and injured four in Paris before being shot dead by police. In March, three people were killed in a shooting spree and hostage siege in southern France, which was also claimed by ISIS. The biggest attack in France in recent years was the attack in November of 2015 in which 129 people were murdered. The deadly jihadist organization also claimed this attack.